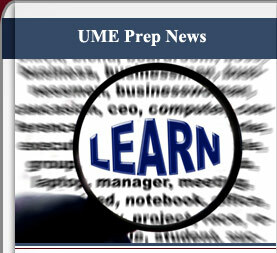 From student achievements to family events and class field trips, we’ll update this page with details about all the great things happening at UME Prep. We’ll also provide articles to help your family make the most of the educational experience—so come back often! We will provide more information concerning our absence/tardy policies in the future, but in the meantime, we ask that you e-mail us at absent@umeprep.org or call us at (214) 445-6243 as soon as you know if your child will be unable to attend school on a particular day. If your student will be absent, please e-mail or call us by 10:00 a.m. on the day of the absence. Students will need to submit any doctor’s notes, etc. to Ms. Sally Hansen, our student attendance coordinator, in order for it to be an excused absence. We will require any student to obtain a tardy slip from the attendance coordinator if he/she arrives more than 10 minutes after class has begun prior to entering class. Ms. Hansen is located in the office next to the gym. Thank you for helping us!